The tax rules change and you should keep an eye on lifetime allowances with the help of an IFA. For example, you can protect against the £250,000 LTA reduction, thus mitigating the 55% tax charge. Michael suggests you take IFA advice as there are many pro’s and con’s to consider, its complex. Your nominated person should be advised of their position and advised by you to seek advice before choosing how to withdraw the fund or some of it. Depending on whether you die before or after age 75, it will have a vastly different outcome and resulting options for your chosen beneficiaries. 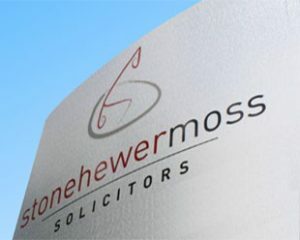 This article was added on Thursday, February 18th, 2016 at 9:26 am and is categorised under Cheshire News, Chester News, Family Law, General News, Lasting Powers of Attorney, Macclesfield News, northwich solicitors, Runcorn News, St Helens news, Warrington News, Widnes News, wills, Winsford News. Both comments and pings are currently closed. Error: Error validating access token: Session has expired on Saturday, 09-Mar-19 13:12:58 PST. The current time is Thursday, 25-Apr-19 21:45:49 PDT.